Have you always wondered what it would look like if Doctor Who and Star Trek came together? If that’s the case, then today is your lucky day, sort of, in a weird, roundabout, totally unofficial way. Former Time Lord Colin Baker is going to have a guest appearance on the fan made Trek series Star Trek Continues. Even in this unusual manner, it’s hard not to get excited about the collision of two such long-lived, iconic sci-fi franchises. A crowdfunded series, Continues is the brainchild of a group of likeminded Trek fanatics that seeks to give the characters from the original series a chance they never got when the show was prematurely cancelled. In their way, they carry on the Enterprise’s five-year mission to explore strange new worlds, to seek out new life and new civilizations, to boldly go where no man has gone before. And Baker is set to show up on the fourth episode of the series. 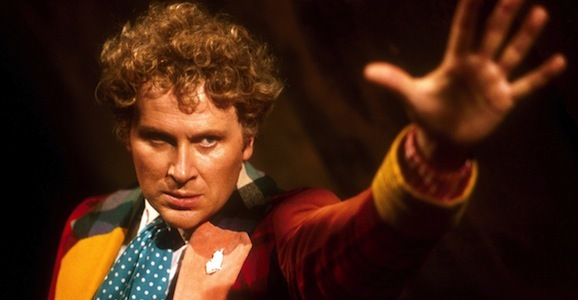 Baker was the sixth actor to play the Doctor, taking over the mantle from his predecessor, Peter Davison, and reigning from 1984 through 1986. You may remember NASA recently employed him to introduce their latest spacecraft, Orion, which blasted off into space last week, and he was also seen not so long ago in The Five(ish) Doctors Reboot, along with Davison and his successor, Sylvester McCoy. There’s no word yet on what Baker’s role will be on the series, but the 71-year-old British thespian isn’t going to be the only guest star to pop up in this episode. Nakia Burrise (Power Rangers and a ton of Barbie movies and shows) is also slated to appear in the episode opposite the former Doctor. Wired’s Obsessed series recently followed the folks behind Star Trek Continues, chronicling their efforts to bring to life the ongoing tales of Captain Kirk and his stalwart crew. When the show was cancelled in 1969 after only three seasons (given how much influence those original episodes have, and how large the franchise has grown over the years, it’s always a bit of a surprise to be reminded exactly how limited that first run was), there were tons of stories left untold, and many adventures fans never got to experience. It’s the mission of executive producer, and Captain Kirk himself, Vic Mignogna and the creative team behind this series, to explore these. These folks are not only super fans, they also have a sharp eye for detail and are dedicated to getting everything just right. Like in the case of Evil Spock’s goatee from their episode “Mirror, Mirror Resolution,” which aims to give some closure to the alternate universe story from “Mirror, Mirror,” they spent $700 in order to get a hand-woven facial application that looks exactly the original, and probably cost exponentially more. Well he be playing Ceti Alpha IV?